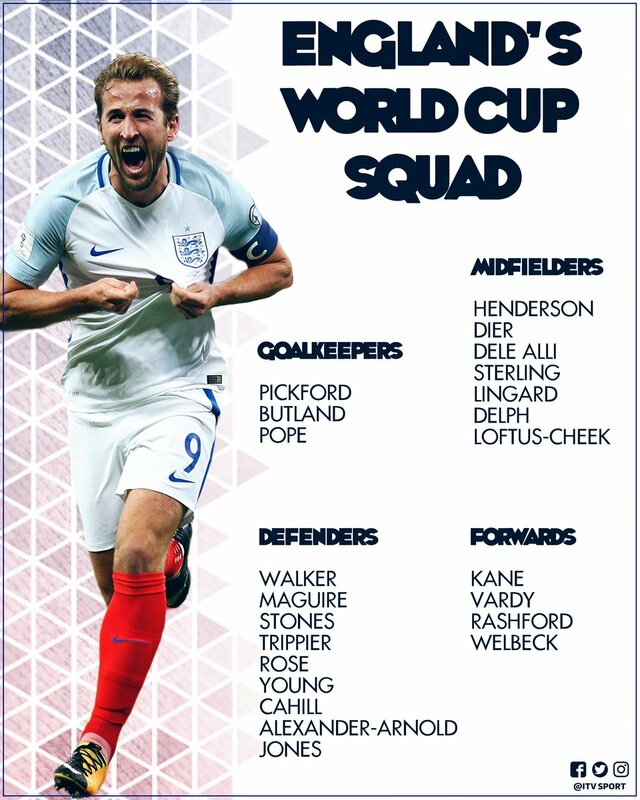 Harry Kane, Danny Rose, Kieran Trippier, Dele Alli, Eric Dier Danny Welbeck, Gary Cahill and Ruben Loftus Cheek will all travel to the tournament. Londoner Raheem Sterling and Stevenage-born Ashley Young are also part of the 23-man group selected by Gareth Southgate. Fulham's teenage sensation Ryan Sessegnon was a name suggested to be called up but he was not selected.